Over the past three decades we have been extremely proud to be the sole representative of OGP in the UK. During that time we have built up a product knowledge that is unrivalled, helping countless customers to innovate and improve their production line performance in ways they often never thought possible. But the advantage of intuitive multi-sensor metrology remains a fairly new phenomenon in a world where many factories are content to let traditional height gauges, shadowgraphs and laser scanners continue to perform part measurement tasks. If your business falls into this category, we are determined to change your perspective – and this December we’re making it easier than ever for you to open your eyes to the myriad benefits of multi-sensor inspection. OGP UK is part of the Carfulan Group, which is preparing to host the inaugural Manufacturing Performance Network (MPN) event at its headquarters near Derby. For the very first time, the group’s five companies will bring together their extensive range of complementary manufacturing technologies under one roof – and OGP UK Sales Manager Graham Shaw has laid down a challenge. He said: “Despite the technology we have, many of those in the marketplace still don’t know the capabilities of OGP equipment. We supply true multi-sensor machines that do the work of three or four traditional measuring systems, and they do it more quickly and accurately. “Essentially, the more you can use optics and lasers without having to actually touch a part, the more throughput you will achieve from your system. “In most cases we find that businesses either have a high scrap rate and their production needs improving, or they have bottlenecks where they can’t get enough components inspected due to old technology. “That will have a knock-on effect for their customers, as goods can’t be delivered on time. OGP multi-sensor inspection systems house world-leading optical, laser and tactile sensors, automatically selecting the right tools for any given task in one routine. Irrespective of the complexity of a part or component, the combination of multi-sensor technologies on a single unit – backed up by intuitive software – delivers three-dimensional results extremely quickly on a huge variety of part features. Speed, real-time accuracy, higher throughput, greater repeatability and a rapid return on investment are the key benefits. Mr Shaw added: “In addition to your metrology system you need to have very good software and that’s where ZONE3 comes in. “With the latest version we can read PMI data straight from the CAD and generate routines within minutes. FlexPoint – the most accurate large frame multi-sensor co-ordinate measuring machine on the planet, FlexPoint is one of a kind. It caters for parts of up to three cubic metres in size, making it ideal for engine blocks and aerospace components, for example. It supports a range of tactile and non-contact sensors, point and line scan lasers, white light sensors and a unique video sensor, all powered by ZONE3 software. Vantage 300 – OGP’s flagship range, the Vantage guarantees superior 3D optical performance alongside the highest standards of accuracy, repeatability and speed, even when measuring the most intricate and demanding features. Leading-edge detection, advanced digital signal processing technology, optimised video algorithms, self-calibrating optics, automatic probe changes and fully editable measurement routines are productivity enhancing features in every Vantage. CNC 200 and 500 – designed for use on the production floor and boasting advanced multi-sensor metrology capabilities, the powerful CNC range maintains the highest levels of accuracy while working even in the most hostile environments. 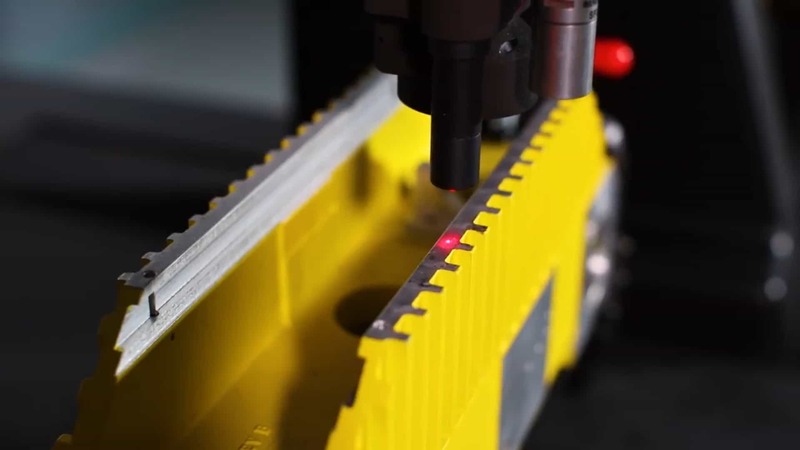 Capable of supporting a combination of touch probes, micro probes and laser scanners, CNC models offer shop-floor quality control that is fast, precise, automatic and reliable. ZIP Advanced 300 – a precision shop floor-model metrology system offering a combination of hardware performance, optical capability and ease of use. A fast DC servo motor drives propel the stage quickly, reducing cycle times. Spark 300 – The Spark 300’s compact, high-resolution video measurement system excels at measuring fine features, providing high-accuracy part inspection for ultimate manufacturing quality control. With interchangeable front objective lenses that allow easy adjustment of the magnification and field of view size, the precise measurement of even the smallest parts has never been so quick or so easy. Metrios – a state-of-the-art 2D digital optical measuring machine designed to optimise performance in the smart, automated factories of Industry 4.0. At the press of a button and touch of a screen, this versatile system performs unerringly accurate and objective part-quality tests directly on the shop floor. QC-CALC station – QC-CALC works alongside selected OGP software packages to ensure the multi-sensor metrology data collection process is quick, accurate and seamless. It produces a range of comprehensive reports alongside data editing and filtering features, hugely enhancing a user’s existing data analysis capabilities. Problems can easily be identified before parts go out of tolerance, giving you total control over production. 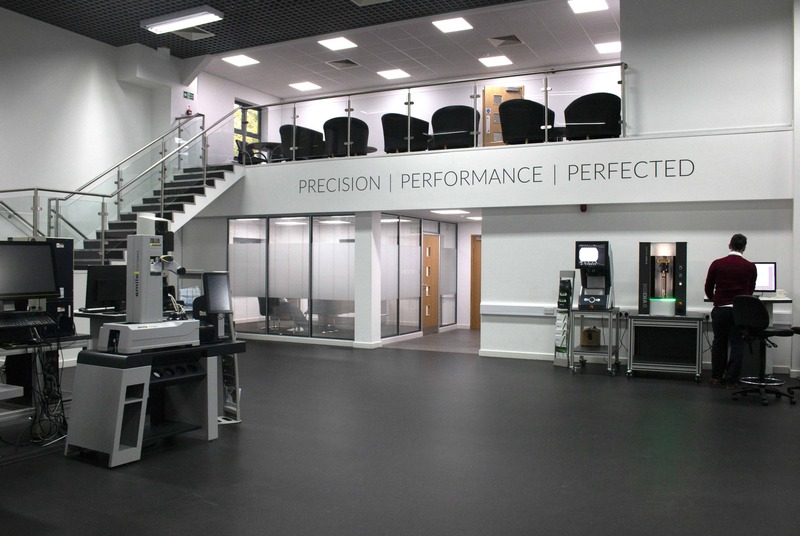 Alongside OGP UK, the Carfulan Group is made up of SYS Systems, ZOLLER UK, VICIVISION UK and XJ3D. Its unique business model allows it to work with leading UK manufacturers in multi-sensor metrology, turned-part measurement, additive manufacturing and tool presetting and inspection, unleashing their potential for improved business processes and end-product excellence.